Jenny McAllister is an actor, movement artist, and director/choreographer who has been performing and creating work in San Francisco for over 15 years. She has been the Artistic Director of 13th Floor since 2010, and has presented work at ODC Theater, The Cowell Theater, Z Space, Joe Goode Annex, Dance Mission, Yerba Buena Center for the Arts, Yerba Buena Gardens, and CounterPULSE. McAllister’s creative process and productions have been supported by grants from the Zellerbach Family Foundation, the William and Flora Hewlett Foundation, TBA/CASH Grant, Dancers’ Group Lighting Artist in Dance Awards, The Fort Mason Foundation, The Fleishhacker Fund, The Rainin Foundation, ODC Theater, and the Mellon Foundation. She is a script writer and theater director for Take 3 Productions, an immersive theater event company in Oakland, and has been commissioned to create new work for companies such as detour dance, San Jose Repertory Theater, The Playground/SF and Moving Arts, SF Cabaret Opera and Z Space/The Killbanes. While in SF, McAllister has performed as a dancer, acrobat, and actor in the companies of many local luminaries including Lizz Roman & Dancers, Kim Epifano/Epiphany Dance Theater/Jeff Raz, Keith Hennessey, Chris Black, EmSpace Dance, Fellow Travelers, Twisted Oak, Deborah Slater Dance Theater and detour dance. Her early training included A.C.T. in San Francisco, the Limon School in NY and Oakland Ballet. Her on stage roles with 13th Floor include Hilda in The Broken Knife/An Original Graphic Novel for the Stage, Wanda in The End of the Story, Rabbit in Next Time, I'll Take the Stairs, Iris in Lightning Strikes Anonymous and Otter in Tiger and Otter. This season Jenny will be playing Pilot Lt. Karen Clancy in Space Pilots in Spaaaace! Kat Cole is a Bay Area artist working within independent filmmaking and contemporary dancetheater. She is the co-founder and co-director of the IZZIE-nominated detour dance as well as the annual Tiny Dance Film Festival. She has had the pleasure of performing with other local companies such as EmSpace Dance and number 9 dance. She holds an MFA in Film from California College for the Arts and is currently producing several short films. Kat's previous roles with 13th Floor have included Vita Sackville-West in Bloomsbury/It's Not Real, April in A Wake, and Alena in The Broken Knife/An Original Graphic Novel for the Stage. This season Kat will be playing Ensign Calliope Lee in Space Pilots in Spaaaace! 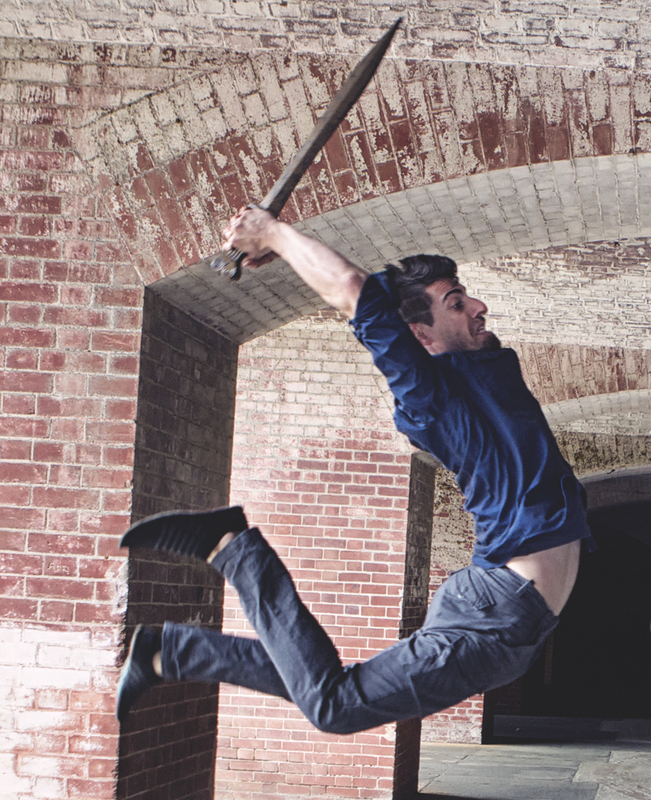 Colin Epstein is a dancer, acrobat and actor, and has been a member of 13th Floor since 2013. He is the director of Twisted Oak Dance Theater, and has performed with local companies such as Lizz Roman and Dancers, Kim Epifano, Kelly Kemp, detour dance and Deborah Slater Dance theater. He produces an annual series titled Constants & Variables, showcasing some of the best dance, theater and circus companies in the Bay Area, and also teaches acrobatics and inversion skills for dancers at Athletic Playground and ODC. Colin's roles with 13th Floor have included Leo Bloom in A Wake, Hermes in The Broken Knife/An Original Graphic Novel for the Stage, Clyde in The End of the Story, Norris in Next Time, I'll Take the Stairs, and Blake in Lightning Strikes Anonymous. This season Colin will be playing Dr. Tyr Rodriguez in Space Pilots in Spaaaace! Uriah found his way into the world of working in Immersive Theatrical Experiences by way of his work with Nonchalance, a Situational Design Agency based in San Francisco. What began as a one-project deal with the agency blossomed into him co-producing The Jejune Institute and The Latitude Society, some of the most well-received city-scale experiences San Francisco has ever seen, the remnants of which can still be found embedded in the city streets to this very day. 2017/18 is Uriah's first season with 13th Floor - he will be creating the sound design, as well playing the role of Gothbot, in Space Pilots in Spaaaace! Zach Fish is an acrobat, actor, dancer, and fight choreographer, and has been a member of 13th Floor since 2013. 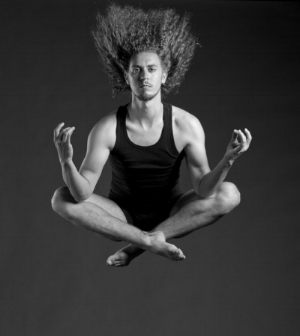 He is co-founder of the performance and teaching duo Ninja Hoops and PlayMore, creates work for Take 3 Presents, an entertainment & event production company, and also teaches acrobatics at Athletic Playground. Zach’s roles with 13th Floor have included The Ghost of Tim Finnegan in A Wake, Nikolas in The Broken Knife/An Original Graphic Novel for the Stage, Sebastian in The End of the Story, Arthur in Next Time, I'll Take the Stairs, Paul in Lightning Strikes Anonymous and Tiger in Tiger and Otter. This season Zach will be playing Chief Engineer Lt. Quincy Gould in Space Pilots in Spaaaace! Derek Harris is a multidisciplinary artist who believes in creative expression through any means necessary and has experience in the visual arts, photography, film, theater, music, dance, choreography, and writing. Derek began his formal dance training at the University of Oklahoma, the American Dance Festival, and the Joffrey Workshop. Since moving to San Francisco in 2007, he has work as a dancer with Ziru Dance, Hope Mohr Dance, punkkico, Deborah Slater Dance Theater, and Human Creature Dance Theater which he cofounded in 2008. As a musician/lyricist, he co-founded the underground comedy rap duo Power Raymond, and is also a co-founder of the alt hip-hop group Real not Real. He has choreographed for stage, film, commercials, and music videos; presented work nationally; and performed internationally. 2017/18 is Derek's first season with 13th Floor, and he will be playing Commander Shiro Morgan in Space Pilots in Spaaaace! Julie Mahony is a dancer and an actor who has been a member of 13th Floor since its inception in 2010. She has also performed with Erica Chong Shuch, Sara Shelton Mann, EmSpace Dance, Monique Jenknison, Chris Black, Twisted Oak, and Hope Mohr, among others. She recently performed ACT’s The Rocky Horror Picture Show, under the choreographic direction of Lisa Townsend. Recent roles with 13th Floor include Betty Mayfield in Being Raymond Chandler, Cupid in The Broken Knife/An Original Graphic Novel for the Stage, Bonnie in The End of the Story, Ivy in Next Time I’ll Take the Stairs, and Juliet in Lightning Strikes Anonymous. This season Julie will be playing Captain Jerusa Day in Space Pilots in Spaaaace! David Silpa is an actor, dancer and martial artist who has been a member of 13th Floor since 2012. He is a graduate of the University of San Francisco, and spent 8 months in 2014 performing with the Oregon Shakespeare Festival. He has more recently performed with other companies here in the Bay Area, including Lenora Lee Dance, Wei-Shan Lai & Dancers, as well as with First Person Travel, an immersive mystery theater company. David’s roles with 13th Floor have included the title role in Being Raymond Chandler, Apollo in The Broken Knife/An Original Graphic Novel for the Stage, Ethos in The End of the Story, Otis in Next Time, I’ll Take the Stairs, and John in Lightning Strikes Anonymous.